My name is Iiyannaa Graham Siphanoum and I was born and raised in Springfield, Massachusetts as much of my family before me. 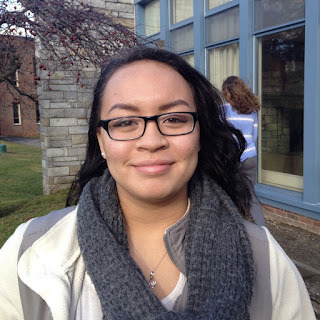 At NMH I am a member of the Student Diversity Committee and Academic Scholar Leaders (ASL). Much of my outside of class activities consist of involvement in the multicultural affairs on campus. I do a lot of work with the affinity groups on campus and also prepping for and hosting diversity related events on campus. I became interested in this course because I saw it as an opportunity for change. Where I come from and where I am now could not be more different. I am so conscious of all the privileges I’ve gained by having the opportunity to attend a school like NMH and it causes me to constantly reflect on the place I left behind. Just because I am no longer in that environment does not mean the problems there don’t exist anymore. I am involved in a lot of activities at NMH that go about educating and combating social issues on the individual level but I saw Social Entrepreneurship as chance to attack one of theses issue systemically. I wanted to make a direct change, or at least make the right steps to eventually get there. In the first few stages of the course we’ve studied and we’ve learned what it means to be a social entrepreneur and the differences between entrepreneurship and social entrepreneurship, as well as the differences between a social enterprise, charity, and activism. We’ve looked at a multitude of case studies of other social entrepreneurs and their social enterprises. We’ve looked at what has been successful about certain social enterprises and we’ve looked at what has failed and why. We’ve Skyped in a number people to ask questions about their social enterprises directly. Once we started to look into the Greenfield community we arranged trips to visit programs in Greenfield that are already trying to combat some of the systemic issues that occur in their community. All of this hands on research has been incredibly valuable as we are now beginning to dive into our next phase of the course. This course both terrifies and excites me. I’ve had many doubts going into this course. I was always questioning if I had it in me to be a Social Entrepreneur. But all of my doubts go away once I enter the Rhodes Room and I look at the familiar faces of my classmates - my partners. As individuals we all have our own attributes that contribute to the dynamic of the group. So while I might not always have faith in myself, I have complete faith in my classmates when we are working together. We are going to create something quite amazing.